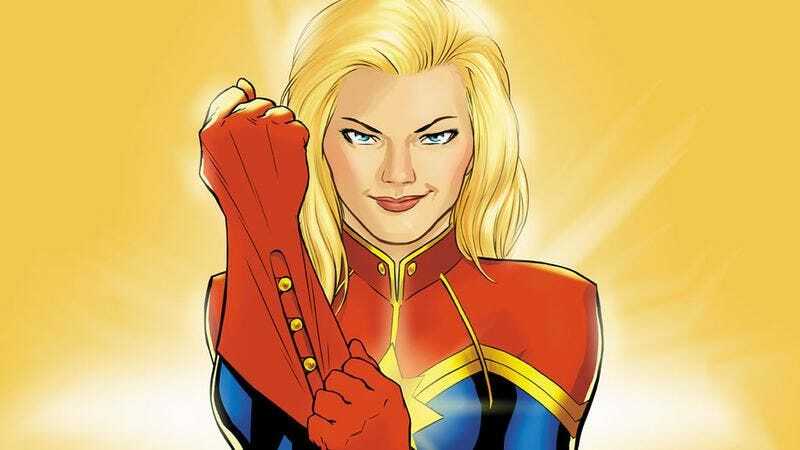 In a complete departure from the shortlist of three directors The Hollywood Reporter floated last summer, Variety reports that Marvel has hired directorial team Ryan Fleck and Anna Boden to direct its Captain Marvel movie. The duo, who launched Ryan Gosling’s career with Half Nelson back in 2006, is an unorthodox choice for a big-budget superhero blockbuster, given that they specialize in quiet character studies like the 2015 Ben Mendelsohn/Ryan Reynolds gambling drama Mississippi Grind. More recently, they’ve been working on TV series like Billions and The Affair, experience Variety says was pivotal to them landing the Captain Marvel gig. Hiring unlikely candidates is a long-standing Marvel modus operandi, though, and one that’s worked out quite well for the studio so far. Marvel Studios made a big deal of saying that it would hire a female director for the MCU’s first female-led solo superhero movie, which we assume means Boden will be taking the lead on this one. Meg LeFauve and Nicole Perlman are writing the script for Captain Marvel, which will star Brie Larson and is due out in May of 2019.